First, no one really understands why we start to stall on the keto diet. Keep in mind that I am not a doctor. I am only sharing the experience I have and what works for me. I would highly suggest finding a doctor that believes in a low carb diet or Ketogenic diet before you begin. Even though I feel amazing, I’ve noticed a stall in my weight loss. I feel the need to say the Keto diet has cleared a brain fog that I didn’t even really notice was there. It has also made me feel less bloated, less gassy and my energy is through the roof! That alone is probably one of the reasons I continue with this way of eating. The end result is a bonus when it’s a weight loss. But what about the people who are doing this for weight loss as a primary goal? It just means that all the other benefits are the after thought. The Keto Diet has so many benefits and I’m learning more and more each day. I myself started to notice a weight loss stall. I figured it was probably my age because the older we are the harder (or slower) it is to lose weight. I went to a Ketogenic Diet conference here in Austin Texas called KetoCon. I’ve met so many people and many have different success stories and different approaches to the Keto Diet. It’s no wonder there aren’t any clear rules that everyone must follow. It all depends on the Macros you calculate for your own body. The diet rules are pretty much the same but the intake can vary. Some people are extremely strict, while others tend to vary the diet based on their lifestyle. I think the biggest take away for me was the fact that we are all different and if you find something that works for you, go for it! It’s all about how you feel and you are the only one that knows yourself best. At the conference, I spoke with many people who have been doing the Keto diet for 2 to 3 years! I asked just about every person to break down what a day of eating on Keto looks like for them. You know what I noticed? I noticed that most people eat a meat with fat and very little veggies for every single meal. The next thing I noticed was that most said they only eat 1 or 2 times a day at most. People who have been doing the Keto diet will understand this because you are the ones that know you become less hungry. My way of thinking about this diet was a bit different at the time. Growing up it was a habit in our home to have meat, veggies, starch, and bread as a typical meal. On the Keto Diet, I tend to think meat and veggies but veggies topped with butter. I am a visual learner. So you can imagine my surprise when I watched Todd White’s presentation on eating Keto while traveling. I couldn’t believe how easy he made it seem. He doesn’t worry at all about eating out and staying in Ketosis. So, how does he do it? How does he make it seem so easy? Here are a few of those photos he showed us (he gave me permission to share these photos with you). One thing he said was every meal has fat. Every. Single. Meal. 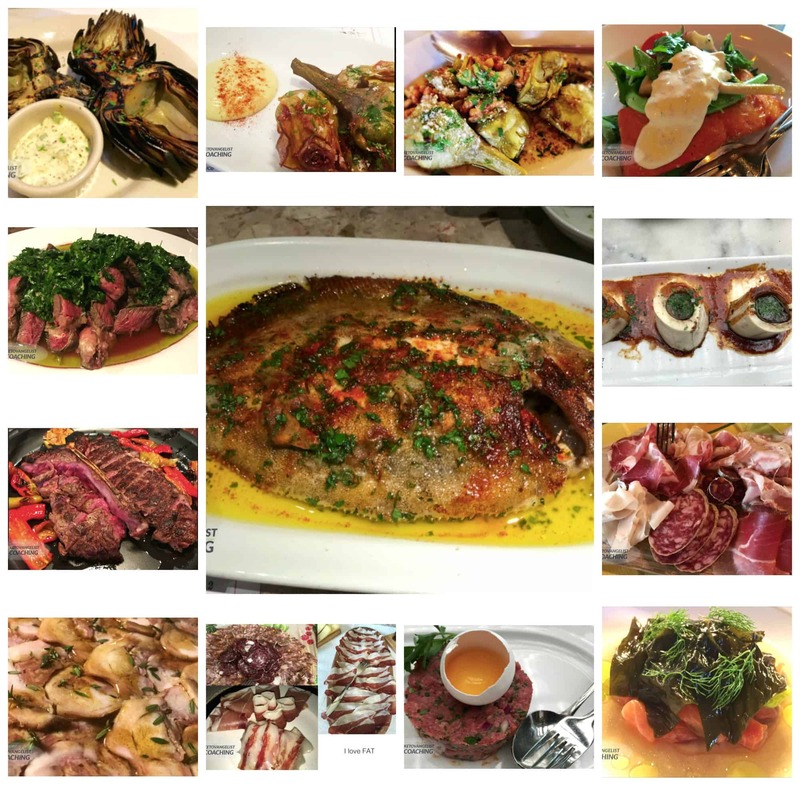 He specifically stated that each meal used a healthy source of fat from examples like Butter, Animal Fat, Avocado, Olive Oil etc… If he planned to dine at a restaurant that didn’t have a high quality healthy fat source, he would bring his own! Yup! He stated he would bring small containers of olive oil. He also said that most restaurants carry real butter. You just have to ask for it. Notice there are veggies but not on every plate? The first priority is fat and protein! I talk to others who don’t even eat vegetables. At all. None! While all the time, I am still thinking of vegetables as a priority on my plate. I spoke to a few body builders and power lifters who do the Keto diet too! You wanna know what a day on Keto looks like for them? It’s the same! Although, I see lots of the athlete’s post photos of ground beef and butter! I decided to do a test with this new way of thinking. Little or no veggies and really up my fat intake. Way more than I was consuming. Why was this so scary to me? Why? Because for many years we have been told fat is so bad for you. I don’t even think we realize that is still engrained in our brains! It was mine. Keep in mind, I am fat adapted and I’ve been doing the Keto Diet 7 months now. The first day I was down a whole pound in one day! I was trending at a 1/2 a pound weight loss a week! I was ecstatic to lose a whole pound overnight! WOW! Update: A reader asked if having a cup of ground beef a day would put me over my protein amount when tracking my macros. The answer was no. I decided to capture my macro numbers in a screenshot and share them here with you. Yesterday, I had my 2 cups coffee (with butter and cream) in the morning, ground beef with butter for lunch and dinner. Then I ate about 4 crunchy pork rinds. I drank plenty of water and took my supplements. I am down another 1.5 pounds today! This is what my tracking looks like. The next day I lost another pound overnight! NO WAY! I broke my weight loss stall! Before this test, I lost only 1/2 pound a week and some weeks none at all. I say only but that’s still pretty darn good since I still need to lose more weight. I mention this because it’s easy to look at the huge success of other peoples weight loss and compare it to your own. We (me too) really need to stop doing this because, again, everyone’s body is different. Head over here to see the RESULTS of the Beef and Butter Fast Experiment!! Un-freakin-believable!!!! I still consumed my morning coffee with butter of course. Then I basically ate two meals a day that consisted of ground beef and butter. Talk about easy meals. Here’s what I think… if I ever stall again, I will do ground beef and butter for a couple of days. I might even do the egg fast again too. Both fasts are similar. As long as you eat protein with fats and very little to no carbs, you will lose weight. It’s that’ simple. If you find yourself in a weight loss stall on the Ketogenic diet, you might try something similar. I personally believe the substitute sugars, even Keto approved ones, might cause you to stall at some point. I also think dairy may have stalled me a bit too. Gosh, I love cheese. If you are not a fan of eating beef and butter without any variety, I highly suggest you check out this page of Beef and Butter Fast™ Recipes! You will find recipes for varieties of Beef and Butter such as Greek, Cajun, BBQ, Taco, Dill Pickle etc… It’s a great way to do this with a different flavor combination each day. I suggest you do different tests of your own. This is the only way you will figure out what is making you stall in your weight loss efforts. I never once felt as though I was deprived when I ate ground beef with butter. Not once. I also only ate twice in a day. 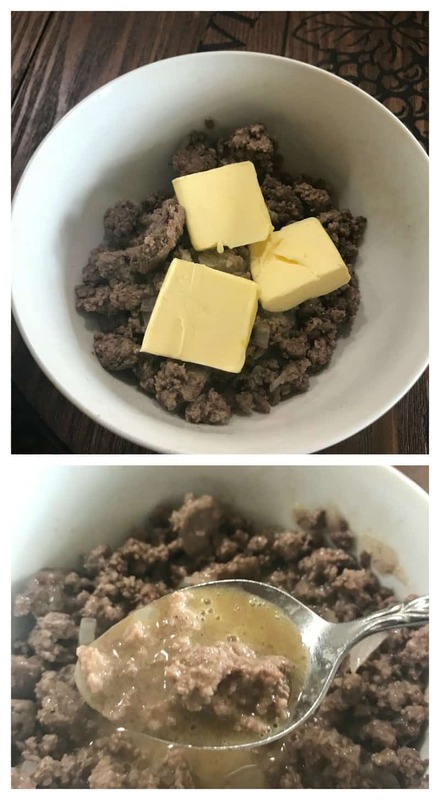 I had coffee with butter in the morning (2 cups), and lunch and dinner were both ground beef with butter. Now when I look at my diet, I see more fat intake with moderate protein. When you think about your diet, what do you see? Head over here and sign up to get a free 7 day Keto Meal plan printable. It’s extremely helpful! I also invite you to join our Low Carb Inspirations (Keto Friendly Recipes) Group on Facebook. We have a lot of fun and share tons of knowledge! 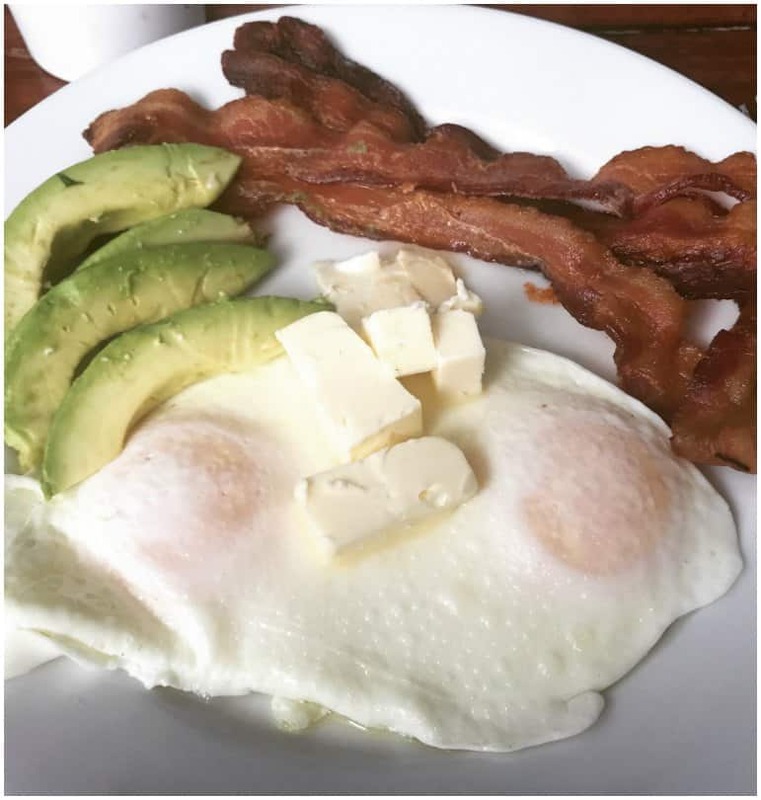 If you are new or have no clue what the Ketogenic Diet is… I encourage you to read this–>> Simple Way to Start the Ketogenic Diet. This is the easiest diet I’ve ever tried and it’s my way of life forever now! This is what my breakfast looks like on a daily basis now! Bacon, Eggs, Avocado, and lots of butter! Don’t forget to take your supplements! Magnesium, Potassium and make sure to up your salt intake too! I heard this advice over and over again from all the Keto experts at KetoCon too. 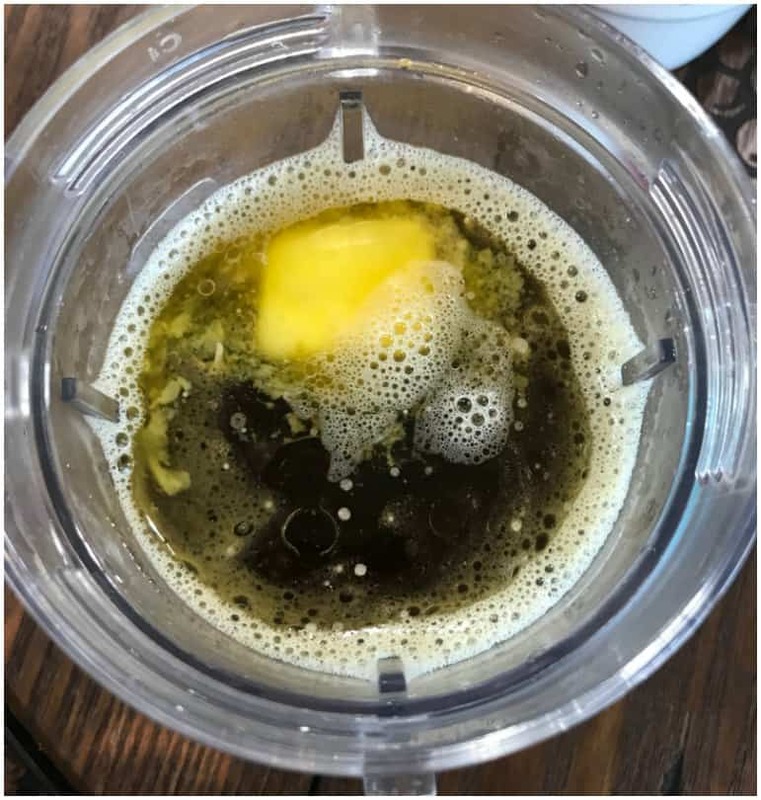 By Jennifer on September 8, 2017 Beef and Butter Fast, Ketogenic Diet. Thank you so much! This totally worked for me. I popped down 1.2 pounds in two days. But, I did eat broccoli with it and eggs for breakfast). Thank you so much for sharing all this wonderful information with us. I had to change it up a bit by the 3rd day, I cooked chicken thighs in a pan with butter instead of having ground beef and was able to do 4 days. I did not lose as much as I had hoped to by I finally got past the plateau and lost 2.6 pounds in this 4 days, so happy!! I will be doing this again! This is a great post. I have been eating Keto for 9 months. I started Oct 2, 2017. Today is 6/29/18. I did lose about 15 pounds. I have another 15 pounds I would like to shed. I have been in a stall for about 3-4 months. I have been going up/down the same 2 pounds. This has been very frustrating. Magnesium helps with constipation. Hope everything comes out okay! I found your page through Pinterest, because the picture of the meat, cream cheese?, and pickle and wondered what the actual ingredients. Do you actually have that? I was glad I found this, because it is so nice to have an arsenal of techniques for keto! Great post – thanks. I’m new to Keto having found it as part of research in to healthy diets. There is a lot of useful information here that’s going to take me a bit of time to chew on! Thank you again. Thanks so much for sharing your experiences! I’ve been on Keto for about 3 months and have hit a huge stall. I did notice days that I upped my fat intake it helped, but this has confirmed my suspicions. How has this affected your overall health (blood work, etc)? What supplements do you take besides magnesium, potassium, and salt? This is very interesting. I have been stalled for 2-3 weeks and have been trying to figure out what is going on. I usually fast until after I workout, but then eat 3 meals. With my weight training, I just don’t feel like I can get away with two. I also usually eat pretty close to my 25 net carbs everyday, I find it helps with volume. Do others find they need to cut out the carbs completely? If you suffer from leg cramps the quickest way to get rid of them is to soak in a bathtub with a cup of epsom salts as your body absorbs magnesium quicker through your skin than in a supplement of buy a spray, this stops the leg cramps immediately. What if you constipate easily? Lowering the amount of veggies can really hurt me. Very informative! Looking forward to reading more from you! I have been in a stall too and this makes so much sense. I have this one problem though. I haven’t been able to give up my apple a day. I am learning it is potassium that I must be lacking so will research that more. I was at a stand still for months.I started to think that was it for my weight loss. I am so happy I found this pin . I was starting to gain weight again . I started to eat the beef with butter for lunch every day for five days and lost 4 pounds . I look amazing I feel amazing and I just have to thank you for your amazing advice . Anyone know if coconut (like a fresh, real coconut, not dried or sweetened) is ok on the keto diet? I love it, and it tastes like a treat! It’s definitely good on keto! How long did you eat beef and butter for? I did this fast for 4 days and lost 4.7 lbs! I really like a variety of food so I didn’t want to go past 4 days myself. After the 4 days I made sure to track my food and fat intake so I could on the plan and figure out what caused me to stall in the first place. Most of my protein I ate after the stall had the same amount of fat in either butter or oils. I suppose the key here is that there is no chance for carb creep. Same thing would work if you ate eggs and bacon. You’re going from 20-50 carbs normally to zero. Thnx soooo much! This reallynhelps and i’m going to try it! From South Africa ans Prof Tim Noakes promotes LCHF here. Have been strict on this way of life 4yrs know and have been stuck for looooooong. Can not get past the 16kg loss! Could not figure out what the heck inam doing wrong and refused to quit because i feel sooo much better! Doubt, you just breakfast the coffe? Then lunch and dinner meat with butter? How many days do you do the beef and butter fast? Hello, i was interested in doing this. can we add anything else to the beef? maybe mushrooms or any thing? or is it strictly beef? On the second day I added a small amount of grilled onion to the beef but very little because of the carb count. I was stalled for 2 months and i tried this and yes it works!! Thankyou. Thank you! I’m going to try this starting tomorrow. I also second the issues with keto approved sweeteners. I made some keto mini cheesecakes last weekend and my weight went up(I only ate 2 in 2 days, everything else was normal keto for me) Only time I have issues with major stalling or reversals is when I use sweeteners. Not going to make that mistake again! I did this and I lost weight. Thank you for sharing this. I wanna do this again but I kinda wanna try something other than ground beef. Any ideas. Something simple and quick. Again thank you so much for sharing. I can always break a stall with ribeye steak, don’t forget to plate it with a large dollop of herbed garlic butter! So good! Hi there! How much butter do you use in your coffee?? I usually only put about 1 tablespoon. I can’t handle any more than that. Do you drain your hamburger meat lol I have so many questions! No. I didn’t drain the fat. When you just did the two meals, did you do any snacks in between? No, I didn’t need to. I wasn’t hungry at all. Your information was so helpful Thank You !!!!! This was a great article. thank you. I had a question about the app you use. Does it have a bar code scanner or do you have to manual put in the nutrition values? Thank you. LOVE your blog. I use Cronometer and it does have a scanner. Thanks! 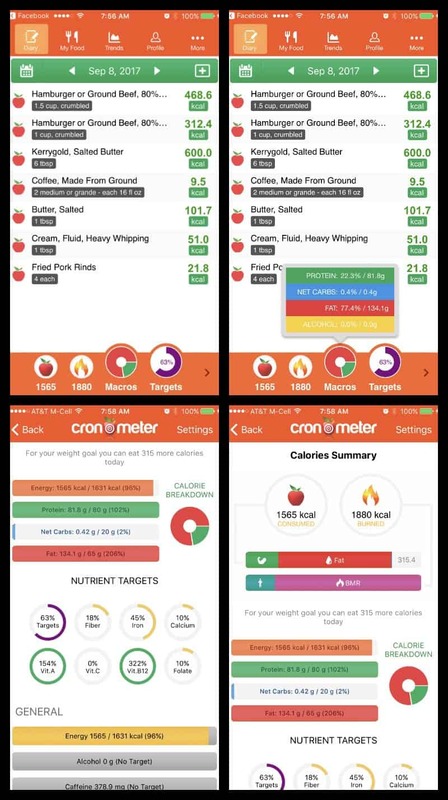 What app are you using to track it? I use cronometer. I’ve found discrepancies in My Fitness Pal. I, too, had a stall on Keto. I’ve tried this for a week and am down 5.6 pounds. How did your body react when you went back to regular Keto? Did your weight fluctuate or did you keep losing? When I went back to my normal keto diet, I continued to lose but at a slower pace. I was so excited it was still going down!!! If I stall again, I plan to do this same Beef and Butter fast again! Maybe a dumb question – but what percentage fat was the ground beef you used? Seems like the higher the better, right? I used the 80/20 ground beef. Good question! Thank you so much for sharing your experience! My struggle with vegetables is making sure I get enough fiber – how would I do that without veggies in my diet? Ugh. I don’t really need to lose pounds, mostly just maintain (I’m 5’2 and 126 lbs). I don’t consume fruit, at least not very often. I avoid all grains and legumes. Recently due to digestion issues, I’ve tried using FODMAP guidelines, which means limited avocado. Very curious why potassium, magnesium, and incrèased sodium are important? Thank you! There is a podcast called 2ketodudes. They go into the nitty gritty science of how and why keto works. But for a nutshell answer to this question: when you eat a lot of carbohydrates your body uses water and glucose to form glycogen. If you aren’t eating carbs your body uses fat for fuel instead of glycogen. So if you don’t need glycogen, you don’t need as much water. This is why when starting on keto you urinate a tremendous amount. That’s your body using up its glycogen stores and getting rid of the unneeded water. However, as your body flushes out water it also flushes out electrolytes (sodium, potassium and chloride). Magnesium is also important. Low electrolytes can cause leg cramps, headaches, heart palpitations and some other nasty symptoms. Colored salts (pink, gray) contain minerals such as potassium and magnesium so those can be helpful on a keto diet. Salt your food and you can even put a bit in your water – not so it tastes like saline or salt water but just enough to get a bit in your diet without changing the taste of the water. Just a note: its important to get regular blood work done. You will often see keto community blaming low sodium for leg cramps. I work in a medical lab. I tested myself every week for months. When I had leg cramps my sodium was perfect but my magnesium was very low. I now take a daily multi-vitamin and choose foods high in magnesium like spinach, avocado and almonds and I salt everything with pink Himalayan salt. But, find what works for you. Everyone’s body is different. When starting out, take careful notes on what you eat and how you feel. Google foods high in electrolytes and magnesium and choose ones you like and that fit into your keto lifestyle. I’m new to this and I will copy this advice and keep it. Very helpful, thank you. One of my favorite (comfort) meals: 2 boiled eggs (still hot) peeled, sort of coarsely mashed with butter and salt and pepper. Growing up, we had this with fruit and toast for dinner but I just skip the fruit and toast. It is so fast and easy as well as filling. Gonna try that, can I use peanut butter?